These pants we received from Island Importer are made from really soft material. 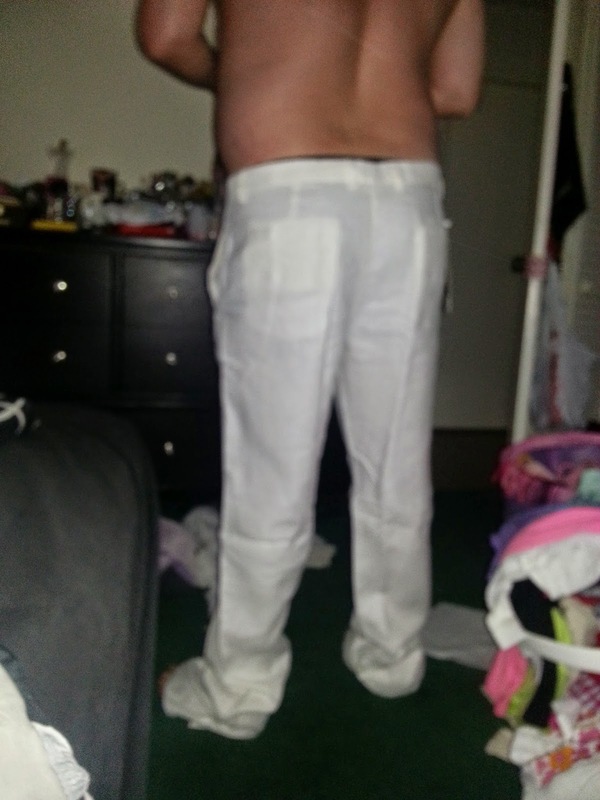 My husband said they fit perfect on him but they are a little long at the bottom we will have to go get them hemmed. Other then that they fit perfect. I like these pants on him I think that they make him look slimmer and these would be nice for him to wear if he was going to dress up to go out for the evening. They are made from 100% linen. 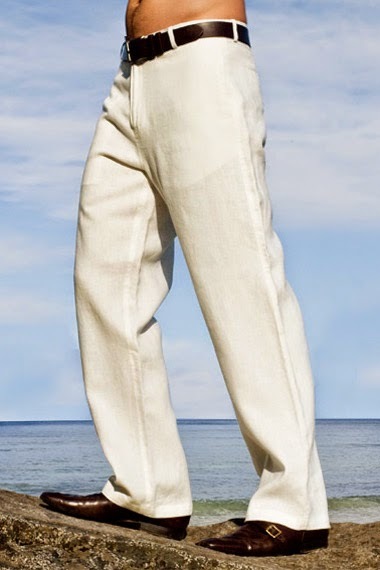 Our first ever zip-fly, button closure pant: Brand new Amalfi pant in a luxurious, top-quality, 100% linen. All sizes have a 36" inseam with an unfinished hem. Dry clean only. Available in white, ivory, natural, ash, chocolate and black. Perfect for destination beach wedding.